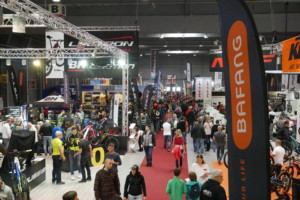 From 3 to 7 October 2012, around 1,000 exhibiting companies from 37 countries – including all the big brands – will present their latest models and products at the Intermot in the Cologne Messe. 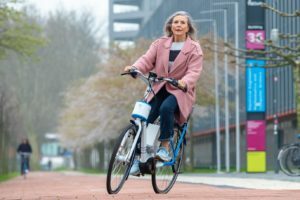 In particular interesting will be what the show will offer in cross-over models of electric bicycles and electric scooters. 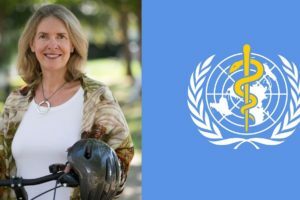 Interesting will be what Intermot will offer in cross-over models of electric bicycles and electric scooters. This year’s Intermot features ‘e-motion’ in Hall 5.2. 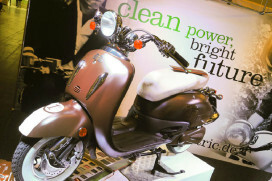 Here the focus is on electrically powered two-wheelers, including pedelecs, e-bikes and e-scooters. This segment is steadily expanding. Major exhibitors in this segment will include brands that are already established in the market, such as Vectrix, e-max, Govecs and SFM (Sachs). 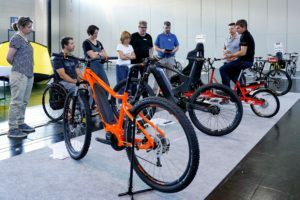 The e-motion Hall will also feature manufacturers like Biketec with its Flyer brand and Winora Staiger, as well as component suppliers such as Bosch and BionX. The international Light Electric Vehicle association LEVA is once again represented at a joint stand in Cologne. 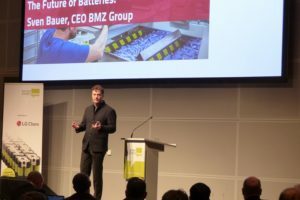 Extra focus on electric mobility will be offered by informative and entertaining events on the e-motion stage as well as by an 800-meter-long test track for electric-drive two-wheelers. On October 5, 2012 the LEV Conference will take place. 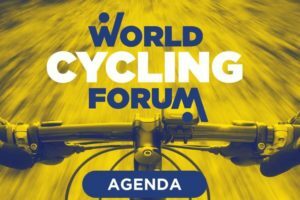 This is the only trade conference worldwide that deals exclusively with pedelec-friendly campaigns in the areas of tourism and everyday mobility. The E-Bike Award 2012 will celebrate its gala finale on the evening before the LEV Conference. The initiators of this Germany-wide award, are RWE Deutschland and the ExtraEnergy Association. The awards will be presented to projects that are sustainably integrating pedelecs into people’s daily mobility or the offerings of the tourism industry. Intermot Cologne 2012 will occupy approximately 110,000 m² of gross exhibition space in Halls 5 to 10 of the Koelnmesse trade fair complex. As was the case in previous years, the market leaders will be distributed throughout all of the halls. This will ensure a continuous flow of visitors throughout all of the product areas and segments. The 2012 Intermot will for the first time feature a Business Arcade, located between Halls 4 and 5. Here, exhibitors can present their products in a targeted way to the international trade and make business deals. The arcade offers particularly ideal conditions to suppliers whose products are targeted exclusively at the specialist trade, and which therefore do not wish to have direct access to end consumers. The Business Arcade’s central meeting place will be the Dealers’ Lounge. More at www.intermot-cologne.com.